Mobile gaming on smartphones and tablets has had a huge impact on our culture. In fact, that and social media are perhaps the most popular functions of smartphones nowadays. Spend any time in a waiting room, on public transport or even take a look at how young people are spending a good portion of their downtime, and you’ll see faces buried in touchscreens, frantically tapping and swiping at some kind of onscreen object. Mobile gaming was one of the primary reasons I downgraded from a smartphone to a basic phone. Although social media, and the constant distraction of compulsively checking emails were among my main motivators for me ditching my iPhone, I simply had to get away from Angry Birds, Plants Vs Zombies and many others. I can recall blowing 45 minutes to 1 hour periods several times per day on some of these games. 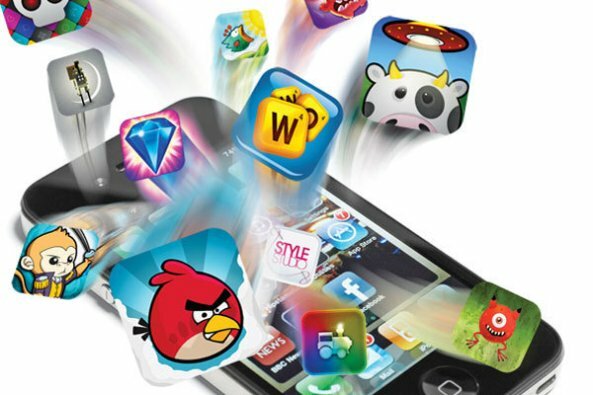 Mobile gaming differs from console and desktop PC gaming because of the nature of mobile devices. Mobile games naturally have to be more simplified and more instantly compelling because of the small screen form factor, the limited processing and graphical capabilities of mobile devices and the nature of touchscreen input. Consequently, people are now playing games that are as addictive as retro classics like PacMan and Frogger, but while retro classics were once confined to archaic and clunky television-based consoles in the living room or gigantic arcade machines, people can now carry addictive titles like Radical, Flappy Bird, Crazy Taxi City Rush, PewPew and Candy Crush with them at all times. No longer do people have to engage with each other in waiting rooms or workplace canteens and college cafeterias. People can simply slip into their own virtual world to kill time, or are they simply squandering time? There’s no doubt that smartphones give people who are insecure in public, a social crutch by making them less social but seemingly still connected to the world if they’re playing with their smartphone in some way. In my experience, there was always a fun rush while playing a game but a profound sense of anti-climactic dissatisfaction with whatever it was I’d achieved after playing the game. Not entirely unlike the empty, hollow and guilty feeling people experience following a binge eating session. I felt as if I’d wasted a valuable portion of my day I couldn’t get back on something that was truly unproductive and that I was held captive by through the addicting nature of the game. I was annoyed at myself at how easily the game had seduced me into willingly throwing away a significant portion of my time and seized all of my attention for however long I’d been playing. I’m by no means saying video games themselves are bad, in fact I love video games. But there’s a time and place for them in our lives and I don’t believe it should be everywhere and anywhere at a moments notice. Moreover, mobile games themselves are designed to enrapture players within the online social sphere in a way that conventional PC and home consoles before them never did. Scores and unlockable achievements are encouraged to be shared online in order to help virally spread the word about the game to the player’s friends and followers. Freemium games seek to ensnare players with a kind of bait-and-switch mechanism, providing a diluted, restricted but compelling enough free experience to addict the player and then thrust intrusive in-app purchases on them in order to further invest them emotionally and financially in the game world. It’s been almost two years since I downgraded from my smartphone and I’m glad to say I don’t miss the stress, compulsions, distractions and general intensity that comes with using such a device daily. Mobile gaming holds absolutely zero attraction to me now, I have no desire to play any mobile games whatsoever. And that really is the primary message of my video, with mobile gaming, the more you play, the more you’ll want to play, the less you play, the less you’ll want to play. Does this sound like some kind of addictive substance to you? Because there’s definitely some commonalities here. So my question to you today is: Mobile video games, are they useful time killers or just addictive time wasters? Be sure to subscribe to Computing Forever on YouTube.